Unix is a multitasking, multi-user computer operating system originally developed in 1969 at Bell Labs. Today, it is a modern OS with many commercial flavors and licensees, including FreeBSD, Hewlett-Packard’s UX, IBM AIX and Apple Mac OS-X. Apart from its command-line interface, most UNIX variations support the standardized X Window System for GUIs, with the exception of the Mac OS, which uses a proprietary system. System Consoles: Direct, In-Band Management, Out-of-Band Management. Every server (virtual or physical) needs a console: and the console can be provided through hardware directly connected, software for remote connections, local connections, through a KVM, etc. This document explains the different types of consoles, their advantages and disadvantages. Marked as Good article, nice to have all the vendor information in one place. I would add that the IBM Flex System Manager (FSM) is now being phased out and being replaced with the Lenovo XClarity virtual appliance. Any existing FSM customers are entitled to the XClarity upgrade. And thank you for the info regarding FSM, it's good to know and a great addition to the article. 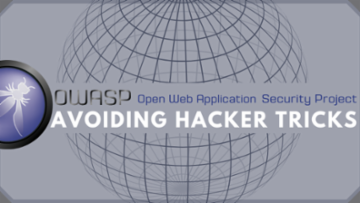 Shell scripting is a powerful method of accessing UNIX systems and it is very flexible. Shell scripts are required when we want to execute a sequence of commands in Unix flavored operating systems. 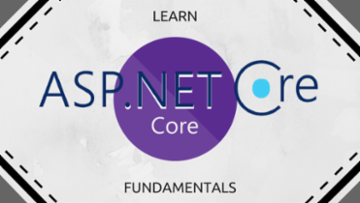 “Shell” is the command line interpreter and “Script” refers to combination of sequence of commands in single file to perform desired action just like batch files in DOS. You can initiate the shell script from command line by specifying the name of shell script. This saves lot of time as we can automate the tasks and can take inputs from user and send output on screen or email too. There are different types of shells available like bash, bourne, korn, C shell etc. I am making use of bash shell in my examples. Before you begin check that you have execute permissions on file. You can give permissions by using chmod command. echo "This is my Shell Script"
Re "Using text editors like vi or vim editors"
- While these editors have advanced features, they also have a learning curve. For getting started I far prefer nano or pico, which are freely available if not already built-in. vi/vim are king for UNIX multiOS. FreeBSD is a robust Unix-like operating system that has been around for many years. FreeBSD is available on Amazon EC2 through Amazon Machine Images (AMIs) provided by FreeBSD developer and security officer Colin Percival. Percival’s list of AMIs for multiple versions of FreeBSD and Amazon regions can be found here. The AMIs come installed with the GENERIC kernel, plus options to enable XEN support (XEN support allows FreeBSD to run on EC2). However, the GENERIC kernel does not include support for PF (Packet Filter) with Alternative Queuing (ALTQ). PF is the packet filtering system ported from OpenBSD. It provides a system for filtering, normalizing, and conditioning TCP/IP traffic. PF is also capable of doing Network Address Translation (NAT). It’s an alternative to using IPFW or IPFILTER in FreeBSD. ALTQ provides Quality of Service (QoS) mechanisms, such as the capability for bandwidth control and packet prioritization. This article will explain how to configure, build, and install a custom kernel with PF+ALTQ built-in. Note that this article focuses on FreeBSD on EC2. While you should be able to follow these steps for other architectures, keep in mind that you may have to tweak a few things. For example, if you see references to ‘amd64’, you may have to alter commands to fit your own architecture. Please see http://www.freebsd.org/doc/en_US.ISO8859-1/articles/freebsd-update-server/ for the updated article. It is available in other languages, as well. AMD, Am486, Am5X86, AMD Athlon, AMD Duron, AMD Opteron, AMD-K6, Athlon, Élan, Opteron, and PCnet are trademarks of Advanced Micro Devices, Inc. Thank you for keeping this content up-to-date and relevant, Jason. Additionally, congratulations on recognition and repost at freebsd.org. There are various resource controls in operating system which directly/indirectly influence the performance of application. 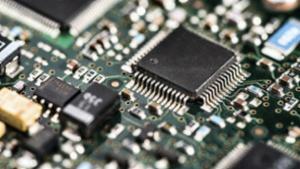 one of the most important resource controls is "CPU". In a multithreaded environment where multiple threads are fighting for the CPU cycles, which in turn are the causes for things like switch context, thread migration and thereby causing latency. Assigning critical process or thread within a process to a set of dedicated CPU's improves the performance of the given application. It is because the set of dedicated CPU's is not shared by any other application. I have also observed that not only the process or application but critical thread within the process or application if it is bind to a CPU then that too improves performance. Post Solaris 10 when a user thread is created, LWP (light weight process) is simultaneously created which maps user thread to kernel thread. Light weight process is a layer between user thread and kernel thread. LWP is present because user thread cannot directly interact with kernel thread. A program will create a set of these processes running on Solaris and in turn consuming (competing for, waiting for) resources. 1. Verify if these software’s are installed by writing #gcc and #make at the command prompt. 2. See appendix to install these software. This section (Marked in italcs) can be skipped if OS is solaris 10. In case of Solaris 11 the configuration doesn’t work properly so do the following. There were lots of questions floating around in various forums revolving around installation of libpcap / jpcap. The software is well documented for OS like Linux and windows, but no documentation for solaris and the Google was not enough so here is my attempt to provide installation guide for both libpcap and jpcap on solaris in particular. Please feel free to ask any questions based on this article or in general issues regarding libpcap/jpcap. I would also appreciate comments by subject area experts in these software. I promised to write further about my project, and here I am. First, I needed to setup the Primary Server. 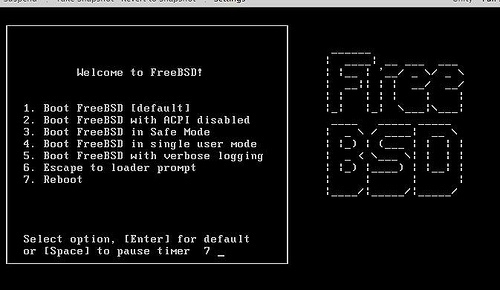 You can read how in this article: Setup FreeBSD Server with full HDD encryption. Then I had to insert a second Power source as you can read in the article: Use a Compaq 200 Watt Power Supply (PSU) as a second power source to power 9 hard disks in my system (5x IDE and 4x Sata). Now I am finally ready to setup my beast! Note: The following sequence will destroy all your files on your harddisk. Take extreme care with any =thing that might destroy data. You have been warned!! Connect all the harddrives and a CD-ROM drive to your system, startup the system and boot from the FreeBSD 8.1 DVD. Choose a standard installation, and the choose user from the menu. Configure your BOOT harddrive, the name is usually: ad0, Make a slice of 12 GB. If your boot harddisk is over 40GB, you can change this value to a higher one, but don't use all the space in one slice. Say yes if FreeBSD asks to install the ports collection, choose to install from CD/DVD (The one you inserted in your cdrom-drive). 7. Sure to write partitions? After that my system rebooted, after fiddling around with drivers, it appeared to be an IRQ problem. I Solved this problem by swapping the VGA card with the NIC card from PCI Slot. Regular patching is part of a system administrator's tasks. However, many patches require that the system be in single-user mode before they can be installed. A cluster patch in particular can take quite a while to apply if the machine is slow. Recently, I used the Live Upgrade tools in the Solaris OS to successfully apply the latest patch cluster to a machine running the Solaris 9 OS, without bringing the machine into single-user mode. b) Patches needed for the Solaris 9 OS of SPARC Platforms. The machine I'm using has a 72 Gbyte internal disk with the Solaris 9 OS installed on it. I'm using another 18 Gbyte disk for installing the new boot environment and patching. I have been running these systems for a few years now and I am just very happy with them. I just wanted to share the manual that I have created for upgrades and other things. Oooh yes! FreeBSD makes me happy (as a server), no maintenance and I always use the hardware I do not need anymore. I want to point out that al actions below will destroy all your data on your hard drive, you have been warned! I have used this manual on FreeBSD 6.2 and now I am rewriting it for FreeBSD 8.1 -- there are some slight changes. The original of this article is in Dutch, so please forgive me for translation problems. Okay! Enough mumbo-Jumbo! Let's start this 100+ steps manual. 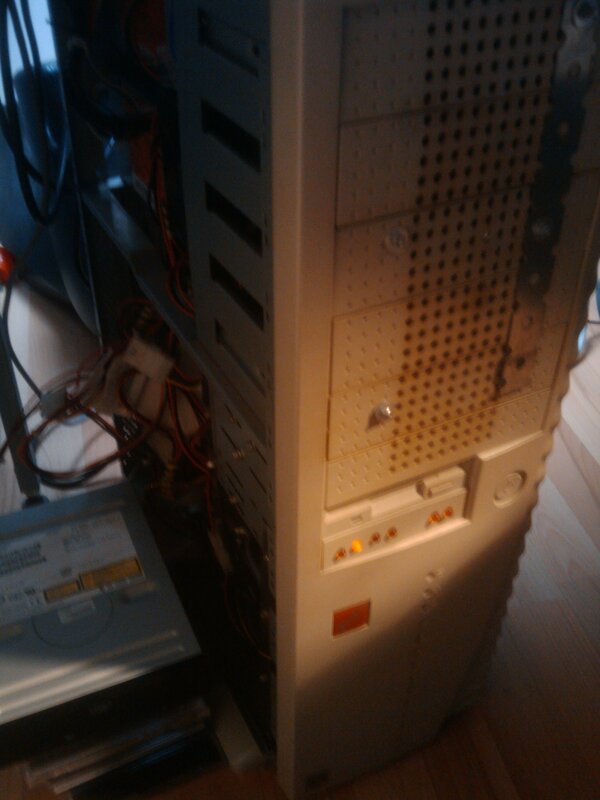 My BSD02 Server is a big tower from 1995 (modified, of course) with a motherboard: Compaq: Compaq Deskpro EN (933 Mhz). My dad taught me to use the saw on metal, and the power drill. Other bootloaders want you to set up active partition in fdisk. FreeBSD is a darling of an operating system. The stability and usability make it a clear choice for servers and desktops (for the cunning). Savvy? The Ports collection makes available every popular FOSS application and package. Solid security and stable development keep the bad guys and gals out. There is something to be said for security through obscurity. If FreeBSD is not secure enough, there is OpenBSD, Unix for the practically paranoid. The minimum requirements for FreeBSD are spartan. One would be hard-pressed to find a machine FreeBSD didn't run on, successfully. My minimums for a base server for workgroup or small LAN. 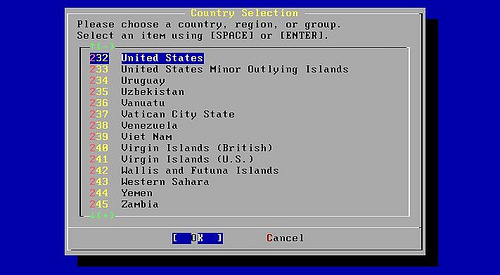 Select the region of the world you or the computer are located. My previous tech tip, Installing the Solaris OS From the Flash Archive On a Tape, discussed installing the Solaris Operating System from a tape archive. In that case, the server has to be booted from a installation CD or DVD and the server is not available for use during the installation. In this tech tip, I'd like to show how to install a Solaris flash archive onto a server dynamically. Using this method, the server is available all the time during the installation. Note: This tech tip shows an example of upgrading from the Solaris 8 release to the Solaris 9 9/04 OS. It is possible that a similar procedure would work for other versions of the Solaris OS. In the following example, I used the Solaris Live Upgrade command line. The server was running the Solaris 8 OS, and I wanted to use Solaris Live Upgrade software to install the Solaris 9 OS onto a spare disk. Instead of cloning the Solaris 8 OS onto a spare disk and using Solaris Live Upgrade software to upgrade to the Solaris 9 OS, I used a Solaris 9 flash archive on the local disk. The archive includes other third-party software and configurations. This tech tip describes how to install the Solaris Operating System from a tape backup that was created using the Solaris flash archive utility. I have used this procedure on the Solaris 8 and 9 OS, and it shoudl also work well on the Solaris 10 release. [step=""]Ed Note: This is for Solaris (Sparc platform), since the Solaris x86 has different behaviour. [/step]In the following example, I installed the Solaris OS from a previous backup on a tape, which was created using the Solaris flash archive utility. I booted a Sun Fire V440 server from the Solaris DVD. After the system went through the normal steps, I selected DEC VT100 as my terminal for command-line installation, as shown below. Note: The Solaris installation program is divided into a series of short sections that prompt you to provide information for the installation. At the end of each section, you can review and change your selections before continuing. While navigating the menus, the mouse cannot be used. If your keyboard does not have function keys, or if your function keys do not respond, press ESC. The legend at the bottom of the screen will change to show the keys to use for navigation. When you do backups in the Solaris Operating System, the file system must be inactive. Otherwise, the output may be inconsistent. A file system is inactive when it's unmounted or it's write-locked by the operating system. Although the fssnap utility in the Solaris OS can do an online backup, it will fail if the file system can't be write-locked. Solaris Volume Manager software, on the other hand, can be used as a "bridge" to transfer the data of a file system across to another partition on the fly. Then, the data can be backed up at any time. First, you'll create a metadevice named d101 on the /test file system when it's mounted. In tuning file systems on the Solaris Operating System, changing some parameters of a file system usually destroys the data on it. For instance, changing the cache segment block size in the volume of a T3 requires that you delete the existing volume, which destroys the data on it. After that it could take a significant amount of time for the volume to be reinitialized if you've got a large amount of disk space. In addition, you may need to change the segment size of a logical unit number (LUN) in a Redundant Array of Inexpensive Disks (RAID) box, which requires deleting the existing LUN, and so on. Even if you're changing the parameter of a metadevice, or renaming the metadevice, you'll need to unmount the file system. How do I dynamically change the parameters of a file system without destroying the data on it? You can do this with Solaris Volume Manager software, which is delivered as an integral part of the Solaris 9 OS. In earlier versions of the Solaris OS, it was called Solstice DiskSuite software or Online: DiskSuite software. A metadevice consists of one or more devices (slices). It can be expanded by adding slices. Then, it can be grown to fill a larger space while the file system is in use. However, not all UNIX file systems (UFS) can be expanded this way. The concatenation is good only for small random I/O and for even I/O distribution. On the other hand, striping is advantageous for large sequential I/O and for uneven I/O distribution, because striping will increase performance by accessing data in parallel. Note: If you wish to expand a file system to be a single striped metadevice, you can't do it on the fly. You have to dismount the file system, then copy or "move" over to a new partition. I've created a patch process for patching openjdk6 for BSD (FreeBSD specifically), although I tried to keep all BSD versions in mind when creating my patch. First let me start with a little background on why I choose to port openjdk6, and then I'll discuss the process I took to do it. I work for Experts Exchange recently we decided to move from Linux to FreeBSD. This decision came after a comprehensive test involving Linux, FreeBSD, and Solaris 10. FreeBSD blew the others away doubling the performance of Linux and outperforming Solaris 10 by a significant margin as well. We have come across several issues with the port java/jdk16, including lack of jmap functionality to track down memory errors and instability running the CMS garbage collector with a heap over 2G. I created the a patch to bring jmap functionality to java/jdk16. My next task was to begin hardening the VM, however it hardly makes sense to work on java/jdk16, because it's missing lots of bugs fixes from sun. openjdk7 looked like the next choice to try and I compiled it up and gave it a try, however a third party library/software I was using didn't work and upon talking with terracotta developers they had no plans to support openjdk7 in the future. I researched what exactly openjdk6 was and decided to give it a try.